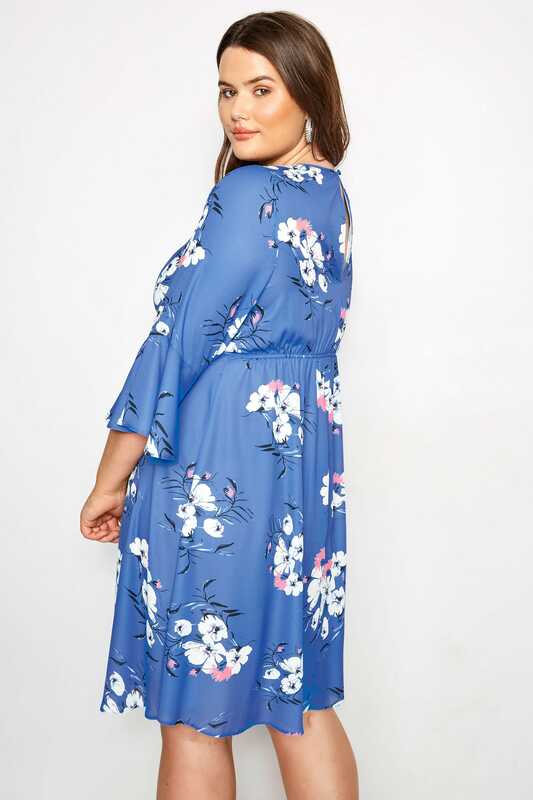 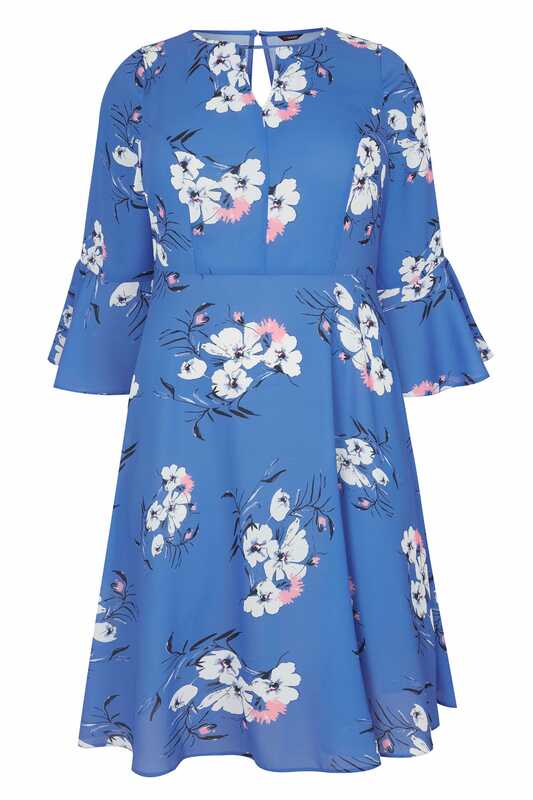 Modern and fresh, this blue floral dress from Yours London is the statement skater that your wardrobe has been calling out for. 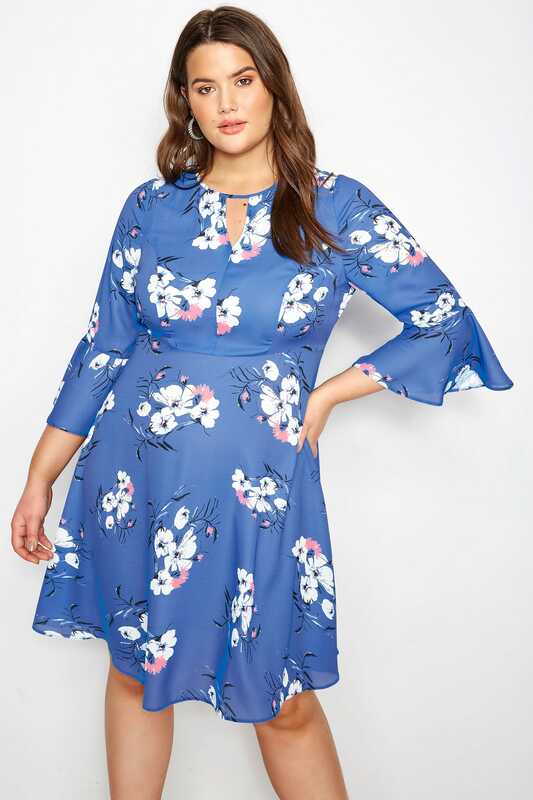 With feminine fluted sleeves and stylish keyhole detailing, it is complete with an elasticated back for a comfortable wear. 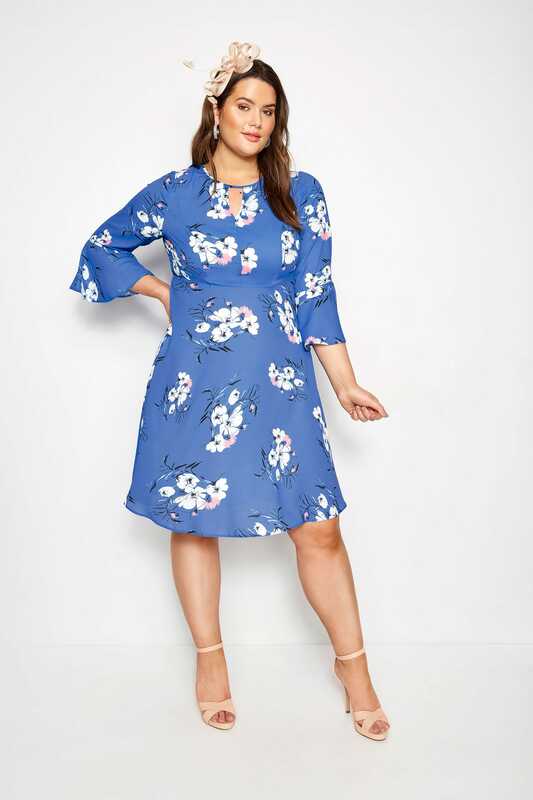 Dress it up for cocktail hour with heels, or pair with heeled ankle boots for everyday wear. 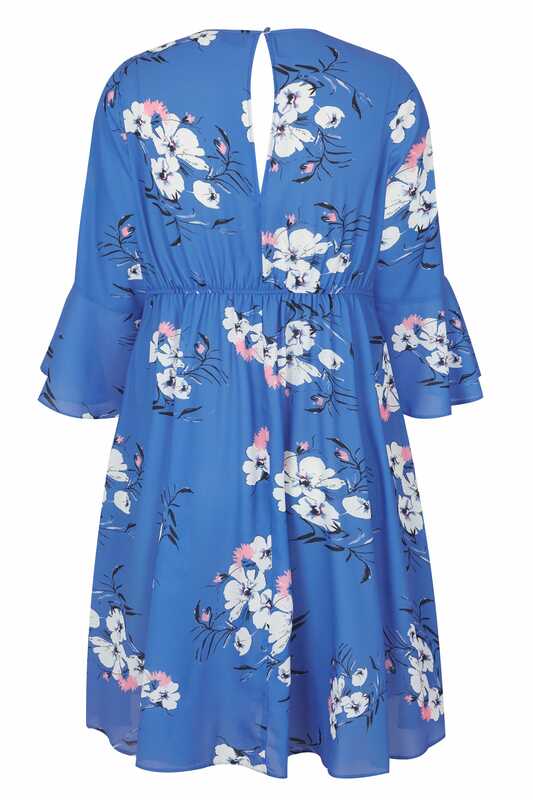 Bold hues and subtle details are key for the perfect statement dress.